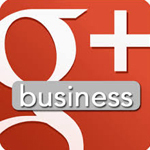 Mention local business listings (sites like Thomsons, Yell and Google Business) and people’s eyes tend to glaze over. This might be because they associate them with annoying sites that take up space on the first page of searches, or because they think they are only for plumbers and plasterers. Or maybe they simply haven’t got their head round them because, on closer investigation, some of these sites do themselves no favours when it comes to user-friendliness (ref the many comments about the rival merits of Google Business and Google Plus). Which is a shame because if they are used with care and discrimination, local business listings not only provide a big, free advertising medium but can enhance your rankings by beefing up your internet presence. So, for the sceptics, here are some interesting things you probably hadn’t considered about local business listings and what they could do for your business. They aren’t necessarily that local. While some of the really ‘home grown’ or community-based sites are as local as a single small village, many more such as those mentioned above, FreeIndex, Cylex and others, have nationwide reach but provide more local listings within their portal. Local business listings aren’t just about ‘trades’. They include professions, crafts, designers, IT specialists, recruitment consultants … pretty much every type of business. If you are a management consultant servicing FT100 companies you might not want to appear on a small community site, but in most of the national listing sites, you would be in good company. They can be as specialist as you are. For example there are excellent, free business listing sites specifically for companies specialising in interiors, architecture and home building, with facilities to upload spectacular photography. Far from being just ‘listings’, many of the better quality business listing websites allow you to include testimonials, news, blogs, photography and more, providing opportunities for as much content as many websites. Very important: testimonials on business listing sites can have a marked effect on your rankings – and the competition isn’t that hot. A sizeable percentage of companies, when offered the chance to add testimonials, fail to get any at all. This is because it is the clients/customers themselves who need to add them to the site and persuading them to do so can be an uphill struggle. But more usually, it’s seen as a faff and an imposition. The result: many local business listings show only a tiny handful of testimonials or none at all. This is important. By looking up your business sector on one of these sites you can often see at a glance how many testimonials your competitors have. Two? Three? You can beat that! Get to work asking your clients to rate you. Send them the link to the listing site and a list of qualities you’d like them to focus on. It isn’t that hard, but adding a couple of testimonials a fortnight soon builds up. The endgame, of course, is to get into the ‘six pack’ (or seven, or more) of Google’s local business listings on the right hand side of the search page. There isn’t a six pack for every type of business, but those with multiple listings or many in the local area will tend to trigger this special listing with accompanying map. With a presence in the six pack and a natural (non paid-for) listing on the run of the first page, your business is gaining ground, helped by the local listing entirely free of charge. So why isn’t everyone throwing all their energies at these geographical listing sites? The answer is, because they are fiddly, idiosyncratic, time-consuming and keep changing the way they work. And if you are the type of business that cares about the free advertising they offer, you are often of a size that can’t afford a full-time marketing assistant to set up and populate them. There is an alternative. Two Lizards provides a specialist local business listings service that can range from a bespoke listings strategy for your business and which you can manage yourselves, to a complete set up and maintain service. One of our clients recently received their first sales lead just a few days after we set up their local business listings for them. And with so more potential for adding more content, there are likely to be many more in the coming months and years. For a chat about the potential of business listings for your company, why not get in touch with us now?